These are the models available on the Olifer range of 3D printed chassis, using Shapeways SLS printing technology, designed to turn shelf queens into racing machines. All chassis are compatible with standard mechanical components and allow to adjust the front axle height with M2 screws. I can immediately think of a dozen cars I own that could be upgraded amongst that lot. Are you going to do a Fly Panoz chassis? And is there a Dealer list of 'local' suppliers? 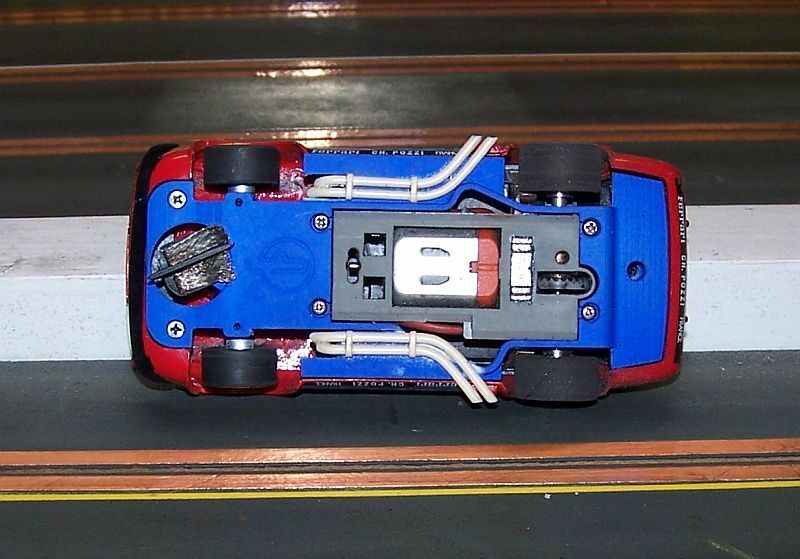 Hi, I have been racing the Greenwood Corvette chassis and the results are very good. I would only suggest more guide lead. Is the Monogram Corvette Grand Am still on the list of future prints? Thank you for your feedback, rixvette! Could you please clarify if you meant that the front of the car should be heavier? The Monogram Corvette should be added to our Classic GT range in a few weeks time. Guide lead... I'm pretty sure he wants the guide to be further in front of the chassis to increase the "guide lead" - the distance between the guide and the front axle. 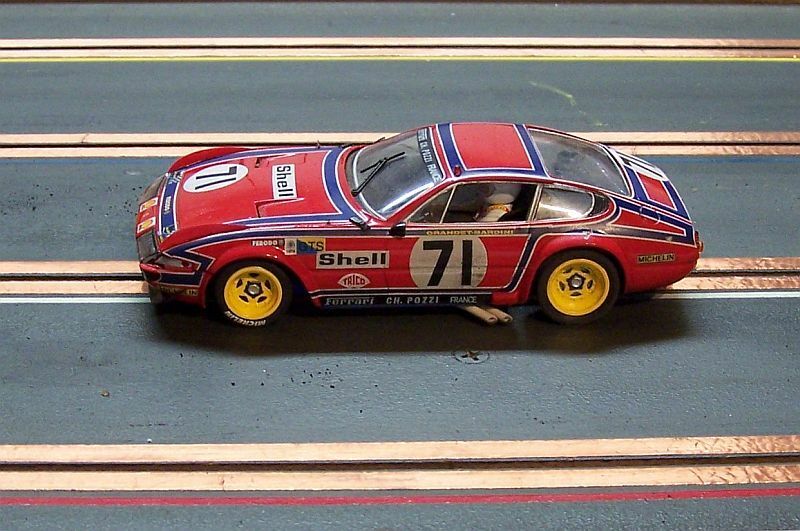 As soon as I saw that Olifer had made a chassis to fit the Fly Ferrari 365 I placed an order for one. It arrived yesterday and after scavenging the Ferrari rims and interior from a Sideway 512BB and the motor and motor pod from a sideways Daytona Prototype Riley I was able to make the conversion rather quickly. I used the front portion of the tray interior from the 512 and the rear portion from the Fly 365. I also pulled the exhausts from the Fly chassis to finish the project. This 365 is now a screamer and outruns my other sideways 512BB. Exactly 'Kid.' The guide can be 1/2" further forward and still fit under the body. With the long wheelbase and longer guide lead, the car takes on epic handling characteristics. I scratch built a styrene chassis from their footprint and an extended guide decreased lap time on my 68' track by .3 seconds. Olifer, you really need to add the Fly Corvette C5 and the Lister Storm to your growing catalog of chassis. I'd definitely buy a fly c5 chassis! Great to see that everyone is just as excited as we are with the GT field - you can expect several cars from this era to be released in the next weeks / months (C5R and Lister Storm included, obviously). I will be looking forward to both with bated breath. Plus I'll be setting aside the necessary funds. I have encountered my first major setback. I ordered the chassis for the Fly Porsche 911 GT1 but discovered the shape of the rear of the body doesn't match the shape of the rear of the chassis. I have the 911 GT1 that is pictured above. To make it work I will have to do some serious cutting on the body or the chassis or both. I didn't have my camera with me but I will take some images of the problem area and post them. Hi Bob, I imagine that you have the Porsche GT1 Evo from 1997 instead of the 1996 model that our chassis fits. As these cars don't share the same chassis we were already developing the 97 chassis and it should be available soon! We'll take a look at your photos as soon as you post them to confirm that this is the case.